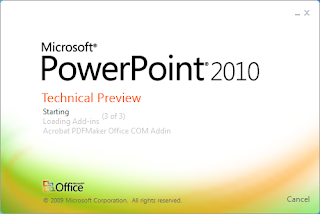 Description: Thanks to the MVP Award Program, I got a hold of Microsoft Office 2010 Professional Technical Preview. While the Technical Preview copy has been out since the beginning of July via Microsoft MVP Connect Services, I have just come around to installing it and testing the traditional Dynamics GP operations with SmartLists and Navigation Lists. 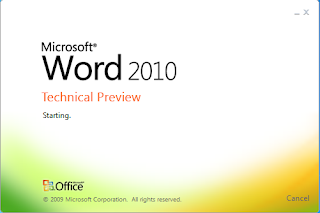 I have to say I am pretty impressed, but before we get there, let's take a look at a few Microsoft Office 2010 improvements. 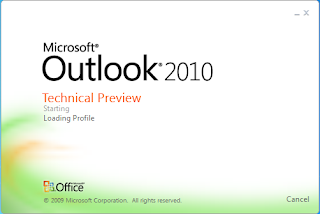 Well, the old saying has it that "food enters through the eyes" and Office 2010 is not the exception. Microsoft has departed from the old boring splashes to some really modern polychromatic animated art. Here are a few artworks for some of the most recognized products within the suite. The installation process went pretty smooth and I was surprised to see all my Microsoft Office 2007 components upgrade without a hitch. Visio continues to be provided as a separate install, but even this wasn't a deterrent to installing the product. The startup process for all these applications is fairly fast when compared to previous versions of Microsoft Office, even the 2007 version. 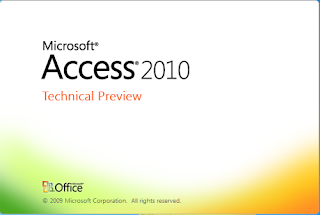 Microsoft Office 2010 is jam-packed with new features, but hear it directly from the Microsoft Office Product Management team. I am currently running Microsoft Dynamics GP v10 Service Pack 4 on Windows 7 Enterprise. Upon launching Dyanamics GP I thought I would encounter my first issue with the Home Page perhaps not being able to address the new version of Microsoft Outlook 2010 components. Finally, I leave you with a really cool teaser released on YouTube. I am sure more of these will pop up as the release date approaches. 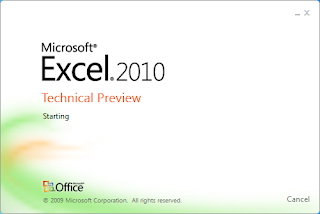 If you are currently participating in the Microsoft Office 2010 Technical Preview please feel free to add your comments to this post sharing your experiences. In particular, if you are testing Microsoft Dynamics GP with the Technical Preview, I would like to know of your findings.